Stockton Seaview Hotel and Golf Club has been entertaining and housing guests for more than a century, during which time it has accommodated famous golf players, rock stars and even presidents. The hotel covers 670 acres by Reed’s Bay and includes 16 spacious suites as well as the 296 guest rooms. All rooms include Lavazza coffee, a flat screen TV, and wireless internet as well as historic charm. Many also have amazing views of the Atlantic City skyline or the hotel’s manicured grounds. Guest may take advantage of two different 18-hole golf courses, outdoor and indoor pools, three tennis courts, volleyball and basketball courts, a scenic jogging trail, a fitness center, the Elizabeth Arden Red Door Spa, the indoor game room, and the Noyes satellite art gallery. Visitors may also explore the Bayview Ballroom or Main Dining Room. If you are looking for fun family weekend getaways in NJ, this resort provides plenty to do for visitors of all ages. The Main Dining Room serves locally sourced seasonal dishes. Finally, enjoy the rustic charm in the Coastal Grille Pub, or a signature cocktail at the Lobby Bar and Lounge. The Grand Cascade Lodge, part of the Crystal Springs Resort, offers an incredible range of activities for couples, families, and individuals to enjoy while in the area. There are a range of guestrooms and suites including studio suites with balconies and kitchens, one-bedroom suites with gas fireplaces, suites with a fireplace deck, two-bedroom suites with Jacuzzis, and a Grand Villa perfect for larger gatherings. If you are looking for romantic getaways in NJ, the suites with a fireplace or a Jacuzzi at the Grand Cascade Lodge are a fun idea for couples. While staying at this hotel, relax in the Biosphere Tropical Pool Complex, get a treatment at Reflections Spa, play on one of the seven golf courses, or take advantage of the extensive wine cellar. Other resort amenities include a Bocce court, nearby fishing at Crystal Springs Quarry which is within walking distance, shuttle service to Mountain creek, and access to the Minerals Sports Club. World-class dining is available from Restaurant Latour. Visitors may also eat garden-to-table meals at Chef’s Garden. Springs Bistro has northern Italian cuisine and patio seating while Crystal Tavern has a pub menu in an upscale format with live entertainment. The Bungalow Hotel is a romantic getaway with 24 guest rooms featuring a fireplace, expansive window, beach views, a cafe table, a kitchenette, flat screen TVs, an iPod docking station, and a king bed. Some of the guest accommodations include a daybed, powder room, separate bedroom and living room, balcony, ocean view, oversized tub, and an additional bathroom. The hotel features beach-inspired decor and its location in Pier Village places it a few feet away from the Atlantic Ocean and sandy beaches. 50 original pieces of art decorate the building, offering a unique experience and the lobby includes chess, backgammon, billiards, and other games. The hotel offers high-speed wireless internet throughout the building. For a small extra fee, guests may access Le Club Avenue or Gold’s Gym and receive access to light snacks and cocktails. There is also a restaurant conveniently located on Le Club Avenue. The Chelsea is a boutique luxury hotel in Atlantic City which provides its guests with comfort and luxury. There are numerous rooms and suites within the 20-storey tower. Many of them have views of the bay or ocean and all have individual climate control, iPod docking stations, TVs with On-Demand, luxury bathroom amenities, and custom linens on the bed. Some of the top rooms include the Rockstar Suite with amazing ocean views, four rooms, a private balcony, a fireplace, and luxurious bathroom and the Ocean Penthouse with a sunroom, floor-to-ceiling windows, and more. Guests may also enjoy a Penthouse Suite as well as the option of Ocean, Water, or Luxe rooms. Chelsea Luxe rooms provide elegance with an upscale feel while the Annex is more budget-friendly and casual. Hotel amenities include the Oasis Pool, Sea Spa, Fitness Center, and Beach Service. Enjoy breakfast or a cocktail at Teplitzky’s. Dining on the Fifth offers a casual atmosphere with entertainment and a high energy lounge. This historic hotel blends the atmosphere of a boutique hotel and historic inn with a convenient location right in the center of Lambertville. There are 26 suites and rooms to select from, each with unique decorations. There are also two carriage house rooms right next to the main building. Guests can select a room with a gas fireplace, private balcony, or jet tub. All guestrooms feature complimentary plush bathrobes and bottled water. Other room amenities include marble vanities in the bathroom, Aveda personal products, writing desks, flat-screen TVs, full closets, whirlpool tubs for two people, rain showers, and more. The Lambertville Lounge & Restaurant serves wine and cocktails in addition to lunch, dinner, or late evening snacks. There is also Sunday Brunch for more variation. The Hotel Bar provides a large martini and wine menu as well as premium beer and liquor, including locally-brewed options. Gather around the lit fireplace during the winter months or relax with a drink on the patio during the summer. More quick trips: Best Romantic Getaways in New York. 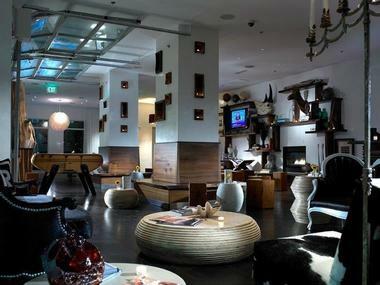 The Westminster Hotel takes traditional luxury accommodations and creates a new option in an AAA Four Diamond hotel. The rooms and suites are decorated in the classic contemporary style. A total of 183 rooms and suites provide a range of options for everyone. They feature ambient lighting, leather bound furnishings, and a calming palette as well as premium amenities such as complimentary internet, an oversized workspace, sitting area, mini fridge, coffee/tea maker, and feather or down pillows. Rooms also include LATHER’s Aromatherapy Spa Collection, two phones, a hair dryer, iPod docking stations, daily newspaper, and more. The hotel includes a Jacuzzi, indoor heated pool, health and fitness center, and spa. The spa even offers in-suite massages for guests who prefer to stay in the privacy of their room. For dining options, indulge in a steak at Strip House Restaurant. This restaurant also features room service and has an adjacent bar. As an oceanfront hotel, the Berkeley offers amazing panoramic views of the Atlantic Ocean with access to lovely strolls along the beach. Every guest room provides premium amenities such as luxury toiletries, panoramic views, and premium bedding. There are also HD TVs, high-speed internet, down comforters, hair dryers, climate control and air conditioning. The hotel even provides the option to bring dogs along on vacation. Take a swim in the outdoor pool when not in the mood for the beach or work out at the fitness center. The Tiki Bar serves cocktails right next to the pool with the option to rent one of the private cabanas. The Berkeley Bar & Grill has a great bar menu as well great food, including light fare on weekends with salads, sandwiches, and other treats. Visitors can easily select one of the many cocktails to accompany their meal. Romantic weekend getaways on the East Coast: 25 Best Things to See & Do in Cape Cod. The recently renovated Hotel Tides offers modern lines in a classic style so guests can stay in a luxurious, elegant setting along the Jersey Shore. 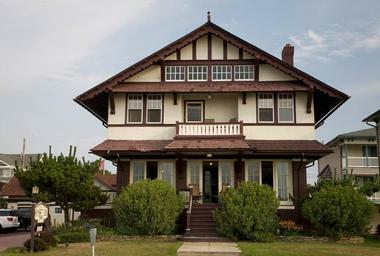 The property is located within Asbury Park and only a short walk from the beach, a great idea for a romantic getaway in NJ. All rooms have Egyptian cotton sheets woven in Italy with pillow top mattresses. Sit back and listen to music on the iPod docking station or enjoy a show on the flat screen TV. There are also river rock floors and rainforest showerheads as well as a Soothing Soundscape Sleep Machine. King rooms also have mini-fridges. The Tides Lobby and Gallery features rotating art shows with international, national, and local artists as well as a floating fireplace, waterfalls, designer furniture and carpets, a bar area, and the front desk. Guests can also enjoy the Tides Pool or take advantage of massages at the Tides Spa. All guests get to enjoy a complimentary continental breakfast. For other meals, the Restaurant at the Tides offers New American Cuisine with seasonal, local produce. 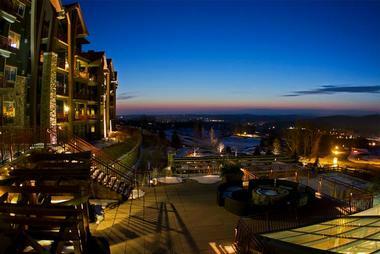 More ideas: Romantic Getaways in PA and Best Long Weekend Getaways from NYC with Kids. The Virginia Hotel is a luxury hotel in Cape May located in a historic 1879 building which has been fully restored to offer modern amenities while permitting guests to experience history. 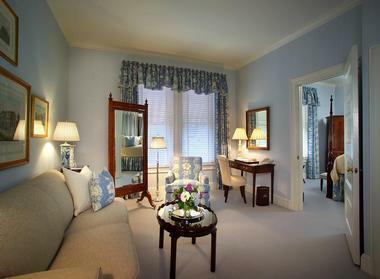 The Virginia Hotel has 24 guest rooms and the small number creates an intimate environment with seaside sophistication. Guest rooms all boast a special decor, sumptuous fabric, and comfortable furnishings. Some rooms also offer private balconies while all feature mini-bars, Bulgari bathroom amenities, cotton Belgian sheets, internet, mini safes, iPod docking stations, twice daily housekeeping, and complimentary valet parking. The hotel is located just half a block from the beach so guests can easily enjoy the sun and water. Take advantage of the hotel’s private beach tents or simply stay on the Front Porch while sipping a cool beverage. Guests also have access to amenities at Congress Hall, such as the pool, Sea Spa, the fitness center, and yoga. They even provide an electric car charging station. Every morning, guests receive a complimentary continental breakfast. The Ebbitt Room offers upscale dining with innovative cuisine and fresh ingredients from the hotel’s 62-acre farm, Beach Plum. 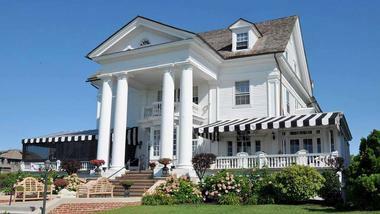 The Southern Mansion is a Cape May bed and breakfast offering visitors a taste of Southern hospitality in a serene. 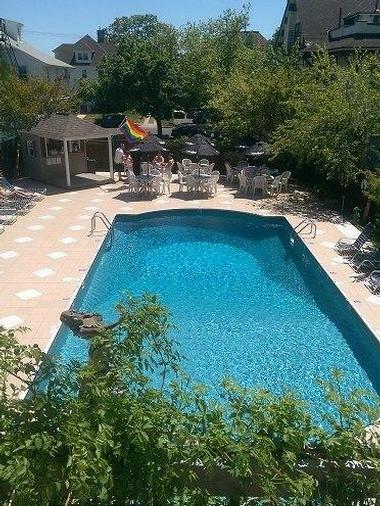 If you are looking for vacation spots in NJ that only allow adult guests, this property is a great idea. A historic mansion dating back to 1860, the mansion covers one and a half acres of land just a short walk from restaurants, shops, and beaches. All rooms feature private bathrooms with hand painted tile showers, flat screen TVs, hairdryers, illuminated mirrors, and original antique furniture with most including a king size bed. Guests receive a complimentary, full gourmet breakfast in the morning and full maid service including evening turndown service. During the summer months, visitors may borrow towels and beach chairs on their romantic getaway. The Southern Mansion also houses the Willow Creek Winery. This winery has a 9,500 square-foot villa which offers wine tasting in a 12,000 square-foot tasting room. There are also tours and the opportunity to visit elaborate gardens or occasional events. La Mer Beachfront Inn is just steps away from the beach, offering the perfect spot to relax after a day of soaking up the sun. The inn has 141 spacious rooms, some of which have been recently renovated. Every room and suite has a personal safe, complimentary internet, a refrigerator, a microwave, a flat screen TV, a granite wet bar, and a private balcony with oceanfront views. Expect tasteful cherry wood furnishings and room choices to fit the needs of families on vacation and couples on a romantic getaway. Guests of the hotel have access to a heated swimming pool, sundeck, guest laundry facilities, a fitness center, and more. Beautifully landscaped grounds offer the perfect spot to relax. During the summer, Beach Service includes food service and complimentary use of chairs and umbrellas. Visitors may enjoy the pool while their children swim in the kiddie pool. The Pier House Restaurant serves Mediterranean cuisine and provides a cocktail lounge as well. The Reeds at Shelter Haven offers luxurious accommodations with private balconies and a relaxing sea breeze. Each of the 37 rooms and suites features its own unique decor. The white oak floors come from Holland and the Egyptian cotton bed linens invite relaxation. There are also luxurious bath amenities, an LED makeup mirror, glass showers with rain shower heads, flat screen TVs, coffee machines, mini fridges, and security safes. Some rooms also boast private balconies with views of the bay or the town. Larger celebration suites offer additional space. The Water Star Grille sits right on the bay for amazing views and exudes a casual but upscale atmosphere. SAX at the Reeds serves up an eclectic menu with salad, soup, burgers, seafood, and steaks, featuring the Sax Lounge and Whiskey Bar. During the summer, Sax Prix serves a prix fixe menu with multiple courses. For a relaxing atmosphere, try Buckets Margarita Bar & Cantina. The Bernards Inn gives guests world-class accommodations and dining while they enjoy a historic hotel known throughout the area. Each of the 20 guest rooms presents unique pastoral-themed oil paintings, architectural detailing, antiques, and luxurious linens. The inn features wireless internet, an iHome alarm clock and USB port, satellite TV, a work desk, snack tray as well as skincare and spa bath products from Aveda, a hair dryer, iron, and plush terrycloth robes. All guests have complimentary access to the nearby Somerset Hills YMCA which provides numerous areas to walk, hike, or bike in the area. The restaurant at the inn serves progressive American dishes from Executive Chef Corey W. Heyer, earning it the reputation of one of the best New Jersey restaurants according to Zagat. The extensive wine collection adds to the atmosphere and the staff helpfully suggests pairings. The restaurant also features live music from professional piano players and uses home grown fruits, vegetables, and herbs as well as edible flowers. 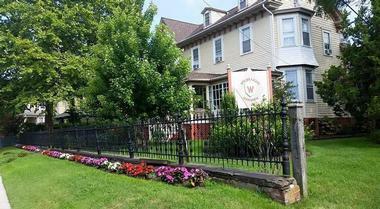 The Woolverton Inn promises the chance to unwind in a relaxing bed and breakfast right on a country estate. Each room has a CD player, fresh flowers, access to a CD library, Egyptian cotton bed linens and towels, fluffy terrycloth robes, a complimentary newspaper, wireless internet, and complimentary bottled water and soft drinks. Most rooms also have whirlpool tubs for two in their private baths. There are five cottage rooms and eight more accommodations located in the Manor House. The setting of the inn allows guests to enjoy ten acres of land surrounded by another 300 acres of forest and farmland. It also overlooks the Delaware River for romantic views. Guests receive a complimentary three-course country breakfast. This extravagant meal is served until 10 am and may be eaten in the dining room, on the porch, in the cottage or room. The meal includes fresh pastries, fruit, and an entree as well as fresh orange juice, organic coffee, English tea, or hot gourmet hot chocolate. Afternoon sweets and refreshments are also available. The Mainstay Inn is a Victorian Inn right next to the sea with a long history dating back to 1872. Guests may stay in one of the four Inn Rooms, four Cottage Rooms, or the Beach Apartment. All rooms have access to high speed wireless internet, irons and ironing boards, bathrobes, hairdryers, and bath amenities from Gilchrist & Soames. Other possible room amenities include a private hammock, high ceilings, a bath tub, flat screen TVs, and numerous windows. The Beach Apartment can sleep four people and has a gas fireplace, small kitchen, LCD flat screen TV, and its own private deck. The inn has coffee and tea available 24 hours a day as well as bottomless Cookie Jars and Pretzels and daily delivery of newspapers. Guests also have access to beach towels and beach chairs. During the spring and fall, the inn serves breakfast in the dining room while a buffet breakfast is served during the summer with the option to eat on the verandah. Afternoon tea may be enjoyed daily and includes fresh fruits and homemade sweets. The Wilbraham Mansion in Cape May was first built in 1840 before being enlarged to its current size in 1900. Just ten minutes away from the beach, the mansion provides guests with a leisurely stroll. Boasting over 20 rooms and suites in the Victorian style, the rooms have original eight-foot doors and ornate plaster moldings. All rooms feature private baths, cable television, and air conditioning. Some rooms also have Jacuzzi tubs for added relaxation. The mansion has a large indoor heated pool, making it unique among bed and breakfasts in the area. Selected suites have access to in-room spa services with the choice to opt to have a treatment off-site. There are also couples massages for those on a romantic getaway. Guests can enjoy a complimentary full hot breakfast in the morning and afternoon tea while dessert, fruit, or cheese may delivered to the rooms. 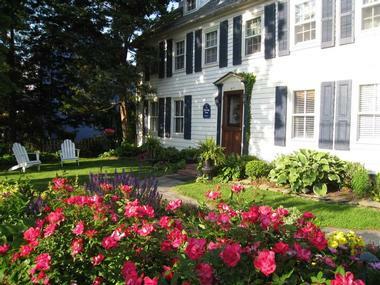 The Eldridge House Inn and Gardens has hosted guests since 1778. Every room has a private bath, queen size bed, free wireless internet, a flatscreen TV with Showtime and HBO, a fireplace or Franklin stove, a DVD player, access to a DVD library, and air conditioning. Some rooms also have love seats, bathtubs, or wicker loveseats. Guest may room at the hotel for just one night and enjoy tea or coffee at any time of the day. During the summer, guests have access to the hotel’s beach box, located right along the beach and equipped with beach towels, umbrellas, and chairs. Complimentary breakfast is included with each stay, but instead of eating on site, visitors have the choice of dining at a partnering restaurant. Options include facilities right by the inn and those closer to the other attractions in town. This allows guests to choose meals that accommodate all dietary restrictions. More weekend getaways in NJ: Things to Do in Cape May, Things to Do in Princeton and Things to Do in Hoboken. This bed and breakfast sits right along the edge of the water, giving guests the chance to enjoy a romantic getaway centered around the beach. All interior rooms feature mission oak furnishings, art glass lanterns, mica lamps, and natural objects. Fragrant breezes stroll through the large windows, offering the ultimate relaxing getaway. Guests may relax in the sun on the front porch or sit in the grand salon while enjoying a beverage fridge which is constantly stocked with soda and spring water. The Rhythm of the Sea serves a breakfast which includes fresh pastries as well as homemade breads and treats. Breakfast includes fresh juice and fruit. The hot portion of breakfast alternates between sweet and savory providing something for everyone. The meal features herbs from the inn’s kitchen garden. Beverage service is available all day long and there is an afternoon refreshment hour with cookies, macaroons, fresh fruit tarts, refreshing drinks, and more. 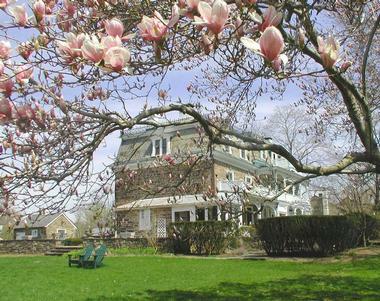 The Mission Inn prides itself on standing out from the other bed and breakfasts in Cape May. The building features exposed brickwork, wooden ceiling beams, murals, and tile work. There are 8 guest rooms to choose from. 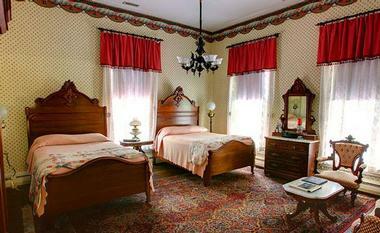 Each room is modeled after Spanish Missions and features modern amenities. Visitors will notice features such as cathedral ceilings, exposed wooden beams, large mirrors, fireplaces, flat screen TVs, comfortable reading chairs, large windows, two-person jet tubs, and reading nooks. Guests may also take in the outdoors on the veranda and indulge in breakfast every morning on the verandah, in the solarium, or in the dining room. Breakfast includes juice, fresh fruit, and a special entree. The bed and breakfast can accommodate allergies and dietary restrictions while providing delicious and healthy meals. 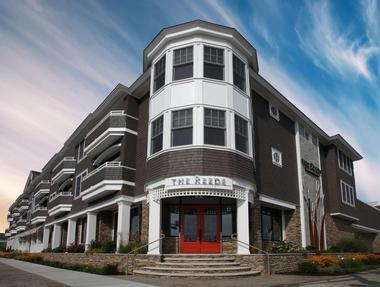 The Peter Shields Inn is a romantic getaway with gorgeous seaside views as well as gourmet dining. 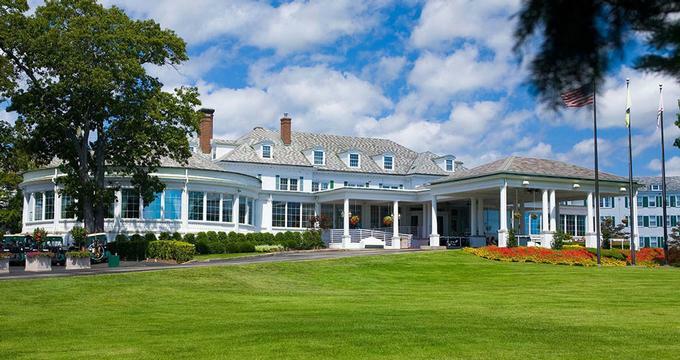 Just a few steps away from the beach, the 1907 Georgian Revival Mansion offers nine guest rooms, each with private baths and often fireplaces. Other amenities include bath amenities, fresh flowers, LCD/LED televisions, free wireless internet, and Bose radio. Guests may sit on the front porch and watch the Atlantic coast, looking for birds or dolphins. Bikes are available to rent while a path offers the perfect stroll along the beachfront. There is also access to beach chairs, umbrellas, and towels. A complimentary gourmet breakfast, afternoon cheese and wine is included in every stay. The restaurant uses the finest ingredients and has wines from the Cape May Winery & Vineyard. The choice to opt for the chef’s tasting menu or select an entrée also exists.